One of my favorite ways to celebrate each season is with candles. This year I acquired quite a collection of winter/holiday candles. These are just a few of my absolute favorites I picked up. 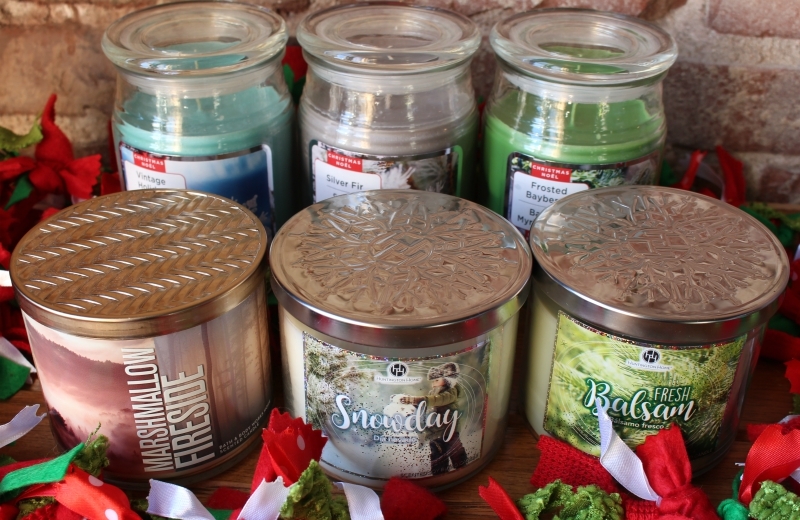 If you are a candle junkie, be sure to check out your local Aldi for seasonal candles. They only have them a couple times of year but they rival Bath & Body Works. I actually think the Aldi candles are more fragrant and they're like $3 a piece. They're my absolute favorite! I highly recommend them. The Michael's candles are okay. They're fragrant enough but I'm not a fan of one wick jar candles. I only grabbed them because they were super marked down so I couldn't pass them up. We all love Bath & Body Works candles, so there's no need to really talk bout them here. I have a huge stash of their fall candles still. I know Marshmallow Fireside comes out in the fall, but I think it's a lovely transition candle between fall & Christmas smells. It's hard for me though because I love their scents, but that price point compared to the Aldi dupes.... I'll take the Aldi candles any day! So there's what I'm burning this holiday/winter season!